The new Care with Confidence sessions start on Tuesday 30 April 2019, 10.30 am to 12.30 pm, at the Carers Centre in Falkirk. Hear from various professionals about the services that are available to support carers and those they care for. Topics include Dementia – Coping with Change using Psychological Approaches, how to avoid Scams, how to Handle with Care and find out more about the Dementia Outreach Team and Alzheimer Scotland. The new Care with Confidence sessions in Polmont start on Thursday 18 April 2019, 10.30 am to 12.30 pm, for seven weeks at the Greenpark Community Centre, Greenpark Drive, Polmont FK2 0PZ. All carers are welcome and there is no cost to attend sessions. Come along to hear about the services that are available to support carers and those they care for. Topics include Sleep, Nutrition, Delirium, Continence Care, Home Environment, Planning Ahead and Scams. The new Care with Confidence sessions start on Tuesday 26 March 2019, 10.30 am to 12.30 pm, at the Carers Centre in Falkirk. Hear from various professionals about the services that are available to support carers and those they care for. Topics include Dementia – Coping with Change using Psychological Approaches, Discharge Planning after a Hip Fracture, and find out more about Pharmacy Services. 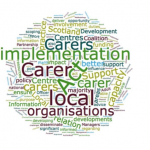 As part of the Carers (Scotland) Act 2016, Clackmannanshire and Stirling Health and Social Care Partnership (HSCP) are required to produce a local Carers Strategy which outlines the vision and priorities for unpaid carers. A consultation took place when the Strategy was initially drafted last year. The Strategy is now in its draft stage, and Clackmannanshire and Stirling (HSCP) are looking to consult on it further before finalising and publishing the Strategy at the end of March. This consultation focuses on the specific priorities contained within the Strategy, and asks you to give your thoughts and opinions on them, as well as provide comments on anything else that you feel is appropriate. 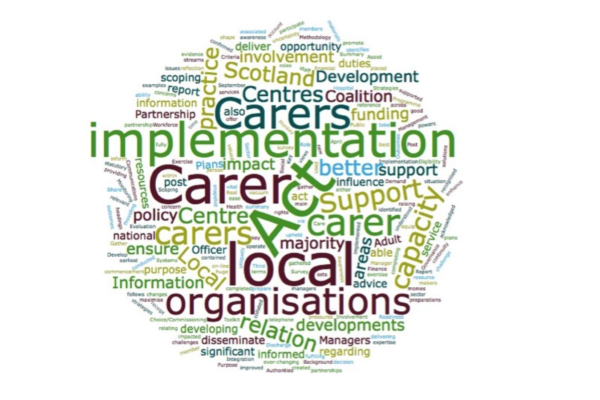 You can read the draft Carers Strategy here. Clackmannanshire and Stirling HSCP would be grateful if you are able to spend a short time to complete the survey, which can be accessed by clicking here. Transport will be available to those families who require it and would like to travel with the larger group. Families are also welcome to self-travel and attend independently. To apply for a place on the trip, please complete the Better Breaks Application Form and submit as soon as possible. Application forms are available on request by calling Anne Prinn at the Centre in Falkirk on 01324 611510, emailing centre@centralcarers.org or by downloading the form below. Please complete the application form as soon as possible as the closing date is Friday 8 March 2019. Places cannot be guaranteed and priority will be given to families who have not participated in, or who have participated in fewer, previous Better Breaks outings. The new Care with Confidence sessions in Polmont will start on Thursday 7 March 2019, 10.30 am to 12.30 pm, for six weeks at the Greenpark Community Centre, Greenpark Drive, Polmont FK2 0PZ All carers are welcome and there is no cost to attend sessions. Come along to hear about the services that are available to support carers and those they care for. Topics include Stress & Relaxation, Facing Challenges, Being Heard, Communicating Effectively, What is Dementia? and What is Autism? The new Care with Confidence sessions start on Monday 25 February 2019, 10.00 am to 12.00 noon, at Ludgate House, Mar Place, Alloa FK10 1AD Please note the change of venue! All carers are welcome and there is no cost to attend sessions. Come along to hear from various professionals about the services that are available to support carers and those they care for. Topics include an introduction to the Patient Advice & Support Service, finding out more about local Pharmacy Services and a session on Home Fire Safety from the Scottish Fire & Rescue Service. 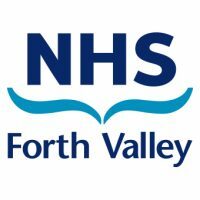 The Child and Adolescent Mental Health Service (CAMHS), Learning Disability Team working with Falkirk & Clackmannanshire Carers Centre, is offering information sessions and workshops for parents, grandparents/carers of school aged children who have been formally diagnosed by CAMHS as having an Intellectual Disability or Global Developmental Delay by Paediatrics. We are pleased to invite you to a carer’s group which will focus on understanding and managing behaviour. This group will run for 4 weeks beginning on Wednesday 20 February, 12.30 pm to 2 pm at the Centre in Falkirk. If you have any questions about the content or suitability of the group for you, then please contact: Anne Prinn on 01324 611510 or download the programme here. The Autism Team within Adult Mental Health, working with Falkirk and Clackmannanshire Carers Centre, is offering workshops discussing living with Stress and Distress for adults diagnosed with Autism Spectrum Disorder (ASD). If you have any questions about the content or suitability of the group for you, then please contact Alison Hall (Advanced Autism Practitioner) on 01324 618272 or Mob. 0777 054 3310. You can also book a place by contacting Anne Prinn at the Carers Centre. The new Care with Confidence sessions start on Tuesday 29 January 2019, 10.30 am to 12.30 pm, at the Carers Centre in Falkirk. Hear from various professionals about the services that are available to support carers and those they care for. Topics include Dementia and Research, Patient Advice & Support Service, Sleep, Gas Safety Awareness and finally, Dementia: Ask the Psychiatrist. Providing information and support if you look after a family member or friend who needs your help due to disability, illness, frailty or addiction. The organisation is a Company Limited by Guarantee (Company No SC184443) and a Registered Scottish Charity (No SC023658). Carers in Falkirk can drop in to the Centre during opening hours for general information or to make an individual appointment. Carers in Clackmannanshire can drop in to the Centre in Alloa on Tuesdays from 10.30am to 12.30pm or contact the Centre for an appointment outwith these hours.